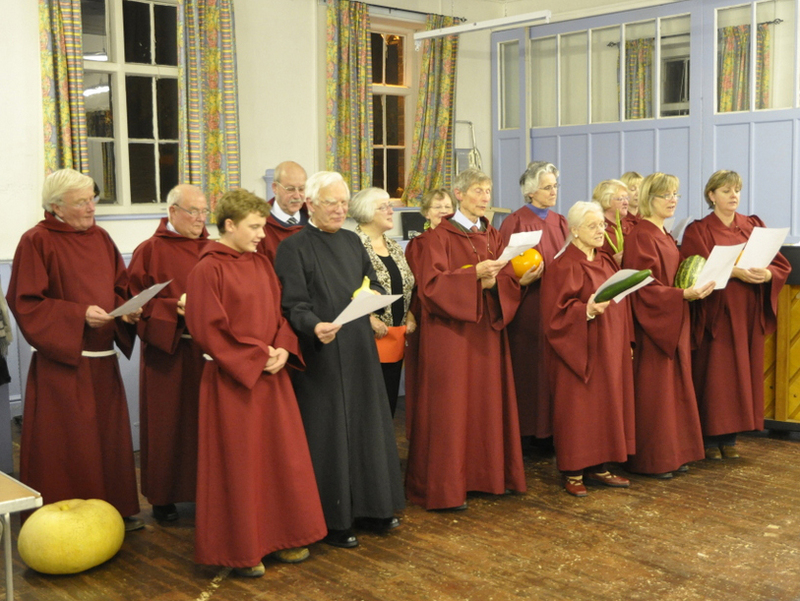 The choir now has about fifteen members and we meet on Tuesdays at 6:45pm (currently 3:00pm in the afternoon for the winter). 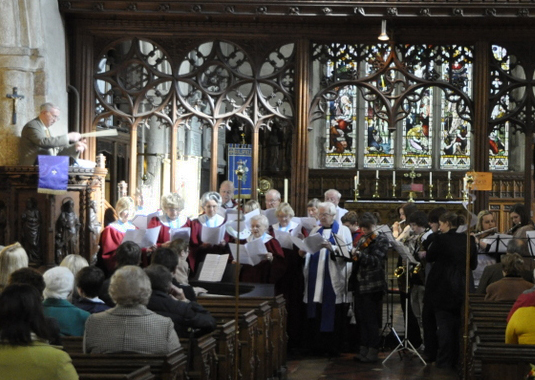 We are affiliated to the Royal Schools of Church Music and are an SATB choir, who sing regularly for services, weddings and other special occasions. Occasionally, we are joined by the Youth Orchestra to accompany us for special anthems. In July we hold a Music Week each year when we ask local musical groups to participate. More details of the Music Week nearer the time. Practices are always enjoyable and, as well as the serious business of trying to perfect our performances, we also have any excuse for a party: birthdays, anniversaries, pancake parties, Christmas etc. The main party of the year is the choir and bellringers dinner just before Christmas when we get together and enjoy ourselves.